With The MSM Monk’estra Ensemble! Harlem Stage presents a special program in collaboration with Manhattan School of Music. Monkmania, A Centennial Tribute to Thelonious Monk will feature guest violinist Regina Carter and guest conductor John Beasley. 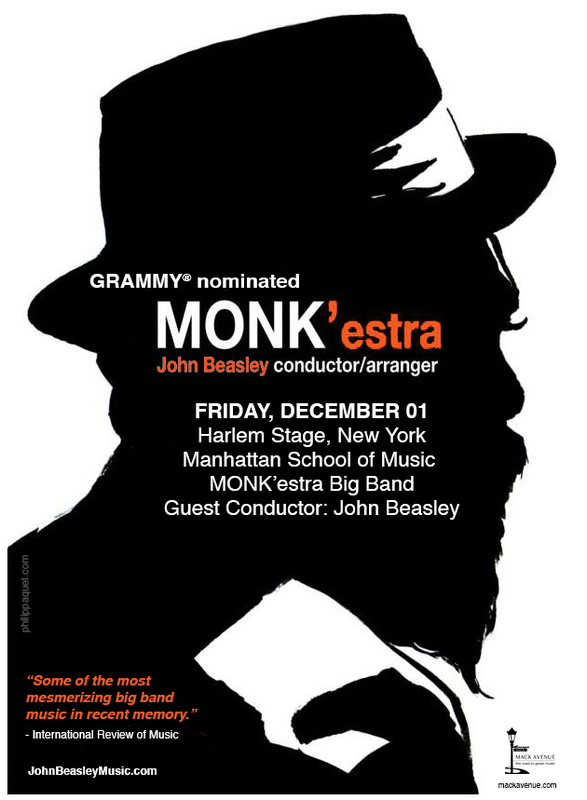 The MSM MONK’estra Ensemble, with students from Manhattan School of Music’s Jazz Arts program, led by guest conductor/arranger John Beasley, will perform arrangements from Beasley’s MONK’estra project, which “reinvents Thelonious Monk for the 21st century” (LA Weekly). This tribute to the legendary composer and pianist features virtuoso jazz violinist and MacArthur Fellow Regina Carter, whose soulfulness and musical curiosity are boundless.